One of my Xmas reading pleasures was the third volume of Alan Johnson’s autobiography. 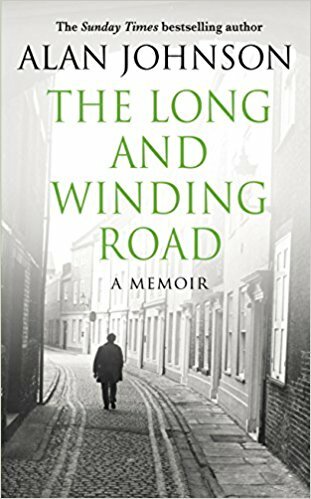 Whilst it doesn’t have the gripping detail of his account of his childhood in North Kensington, it’s an attractive blend of personal and political narrative, recounted (as far as I can tell) with honesty and a good eye for character. As he predicts, I hadn’t heard of Jeannie Drake, but I googled her and found she is now Baroness Drake, so she has found some recognition. I would guess she’s one of the more useful peers, with the kind of experience we would like to see in a second chamber. So that’s a satisfactory enough outcome. The Paula-relevant questions are: how much further organisations, including trade unions, have to travel in order to make effective use of talents such as Jeannie Drake’s; but also, and more trickily, how far we simply accept that some women – and some men, but especially women – just prefer to operate under the radar? Johnson has another interesting Paula-relevant observation, this time in relation to Dawn Primarolo. She was Paymaster-General (the first woman to hold the post) when he gets his first parliamentary promotion. I don’t think Johnson’s playing to any gallery here. These are important observations; and I very much like the notion of self-unimportance.